DELMARVA — When Karen Hill’s phone pings, it’s often a VRBO request to book her two-bedroom town house in Bethany Meadows, just outside Bethany Beach, Delaware. When a similar message comes into Brett DePrince’s phone, it’s to book a one-bedroom, pet-friendly apartment his dad owns on Baltimore Avenue in Rehoboth Beach, Delaware. More and more people are using a third-party booking site, like VRBO or Airbnb, to book their beach vacation getaway. WTOP talked with property owners, real estate agents and town officials to get some advice to help vacationers make the best decisions possible as they book their getaways. While the hotel/motel industry and the local real estate companies with rental departments may not be happy with the societal shift to this type of booking, it’s happening and having an impact on the economy. “Oh, I think it has changed so much,” said Hill of Pasadena, Maryland, who has been renting her Delaware place through VRBO and Home Away for three years. “Everything is right at your fingertips, on your cellphone. You basically have a computer right on your fingertips where you can just go and search rates. When you go on the website, you can put in, ‘I only want to spend $200 a night and I want to be in this area,’ and it will break everything down and zoom into that location for you,” Hill said. VRBO and Home Away rentals typically are houses, condos or apartments. With Airbnb, a rental may be a room in someone’s home or a house, condo or apartment. 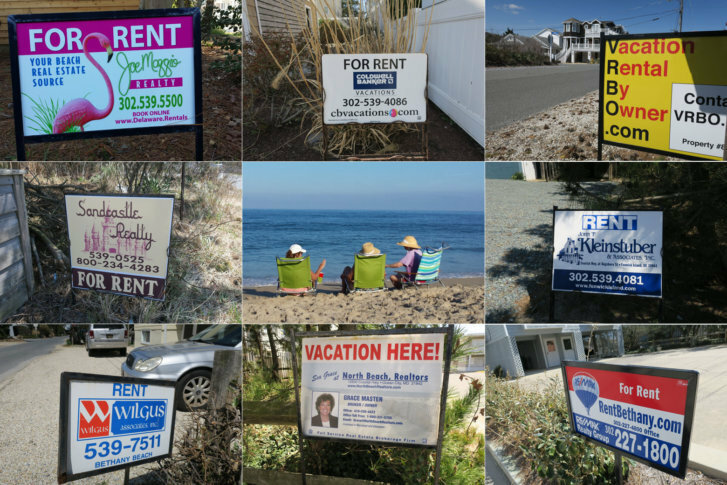 When renting at the beach, you have a number of options. Traditional rental companies are competing with VRBO, Home Away, FlipKey, Airbnb, TripAdvisor and a number of other online rental platforms. Additionally, there are people who rent their beach properties without the assistance of a management company or a large online site. DePrince, a real estate agent with Joe Maggio Realty, asked his father if he’d let him use Airbnb to rent out a family apartment one block off Rehoboth Avenue, the main street through the resort. “I was thinking he is going to say no because he is of the older generation. He is not very acclimated to the high-tech industry we’re in now. But right away he is like, ‘Go for it,’” 27-year-old DePrince said, adding the apartment to Airbnb’s portfolio in 2016. People who opened their homes to Airbnb customers at the Delaware beaches between May 1, 2017, and Sept. 30, 2017 earned $4.2 million. 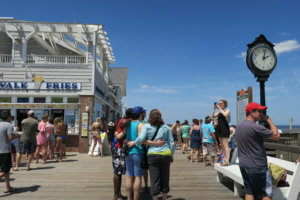 The number of bookings in Bethany, Dewey, Lewes and Rehoboth jumped 90 percent, from 9,700 in 2016 to 18,300 in 2017, according to the most current data available. When you book through a third-party site, much of the early communication with the owner or host is done by text message or email. How well and how quickly questions get answered will give insight into whether the rental is a good fit. Remember that asking questions goes two ways. An owner or host wants to know who his guest is and whether the property will be well cared for. 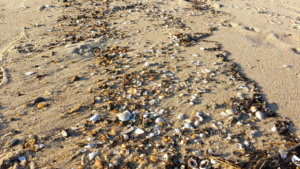 Offer up information about this visit to the beach. Is it a vacation? A brewery tour? A work conference? A special occasion? “If you are searching for a particular area, if you don’t know the lay of the land, definitely ask owners their opinions. Like, what are the best places to go? If you get an owner who can give a good amount of information, right there you have a good owner and host,” DePrince said. 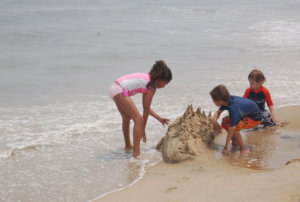 Ask the owners questions that are specific to a stay at the beach. Is there a beach umbrella? Is there a place to store bicycles? Who supplies the towels and sheets? And ask questions that are specific to the property. Does anyone else have this unit’s security code? Is there a baby crib or room for portable crib or playpen? “I have a lot of my renters asking me how close I am to the beach … if I have a pool, if there is any kind of shuttle service, restaurants in the area, things like that,” Hill said. How far a rental is from the beach is a must-ask question, if the property listing doesn’t spell it out. Three three blocks is not the same as 3 miles when beach chairs, beach toys and coolers are involved. Hill said she tries to make things easy for renters. 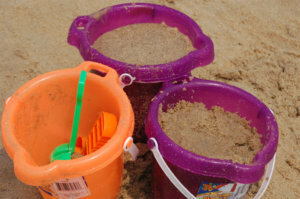 “I let my renters know they don’t have to lug all the beach stuff. I’ll supply them with beach chairs and coolers and boogie boards and pool noodles and things, so that they don’t have to bring so much stuff with them. It’s just basically their clothes and their sheets and towels and their essentials like that,” Hill said. Both DePrince and Kathy Pasquali, whose one-bedroom Rehoboth apartment is above her bakery, on Atlantic Avenue, say asking about linens is of paramount importance with beach rentals. Unlike hotels, some third-party rentals don’t provide any sheets, bath towels or beach towels. Some offer them free of charge. “A lot of places charge for sheets and towels, and stuff like that, and that would be kind of an important question to ask,” said Pasquali, whose property on Airbnb is rented for most of the summer. Check-in and check-out times are important to know, as well as whether a host will accommodate an early or late check-in or late check-out. Hill said whenever possible she likes to be able to accommodate guests with an early check-in since many times they’ve been on the road for hours to get to the beach. “I will tell them, if you are in the area, I will text you as soon as the cleaning is done, and they can get right in,” Hill said. Don’t forget to ask where the water shutoff is and where the electrical breaker box is. “A lot of times, that stuff is real important. You want to know where that stuff is at. We had a guest, she was using her hairdryer for too long and the breaker in the bathroom went, so she didn’t know where the breaker box was,” DePrince said. A lot of people hate to leave their pets in a kennel while on vacation. Most rental companies don’t allow pets, but some owners who use third-party sites do. Be forewarned: Most beaches don’t allow dogs on them during the summer season. If a third-party rental allows pets, make sure the space is big enough for the dog. Remember Fido will be contemplating what to do with his time while his owner is on the beach or off kayaking. Hill’s place outside Bethany doesn’t allow pets. The online listing tells a lot about the property, but it may not be able to tell everything. The reviews from people who stayed there will tell more. For example, they may indicate how well the host communicates and whether guests are given extras, such as gift baskets, snacks or wine. The reviews provide insight into whether the place has some problems. “I think it’s difficult to fake reviews. So if you are going and looking at a property that has 20, 30, 40 reviews, chances are you’re going to be in pretty good shape,” said real estate agent Joe Wilson with Condominium Realty, Ltd. in Ocean City. For Airbnb, the reviews go two ways, Pasquali said. They can let Airbnb know that a host may be dishonest. They also provide a way for the owner to give the guest feedback. Pasquali recommends checking over everything before renting to avoid surprises. “You have to be very careful and read everything. Read all the terms and agreements, and if you’re not sure, just call the people,” she said. Real estate agents say a ridiculously low rental price can be a sign of a scam, as can older photos. “If you can tell the photos are older and not high quality, then clearly you know they are not up-to-date, so something could be different or wrong with the property. … If it says it’s a five-bedroom, 3 1/2 bath and you only see two pictures of a bathroom, is there a reason why?” said DePrince. Both Wilson and Susan Jones, executive director of the Ocean City Hotel-Motel-Restaurant Association, urge vacationers not to use Craigslist to find vacation properties. “We recommend people don’t book by Craigslist because we have had an inordinate amount of people get burned on Craigslist where they put their money in and ‘bye ‘bye, there’s no condo for you,” Jones said. Wilson said the renter finds out he has been scammed when he shows up at a legitimate real estate rental office to get the keys. “They’ll send in money in advance. They’ll show up down here for their vacation, and they’ll realize they sent money somewhere where they got scammed. That’s the one website where I feel it’s unregulated,” said Wilson. T.J. Redefer, a broker with Rehoboth Bay Realty in Dewey Beach, agrees. “The under-50 crowd, they may be very willing to click and book, but one of the cautionary tales I would tell is with VBRO, Airbnb, all of the rest, make sure that you know who you are dealing with. Do your homework to make sure that that property actually exists and that it is where they say it is because there are some unscrupulous people that will spend a few bucks to get on an Airbnb site and they are just trying to get people to book a rental that they don’t have,” Redefer said. An online search using Google can help make sure the property exists. Masten, whose business handles rentals for about 200 properties (some of which are on TripAdvisor), and Long & Foster’s Allison Stine, who used to use VRBO to rent properties, said what renters may not realize is that there are a lot of charges involved with online rentals. “Owners are bumping up their fees to combat the fees those third-party booking companies are charging,” said Masten. “So third-party booking companies are charging owners. They’re charging guests. They’re charging real estate people, so they are getting paid three different ways. “It is incredible. And people don’t understand that. They think, ‘Oh, I’m just making this reservation and I get to go to the beach and spend $3,200. Well, that same $3,200 property, if you called directly, would have cost you $2,500. It’s that big of a difference,” Masten said. Expedia owns VRBO, HomeAway, Travelocity, TripAdvisor and a host of hotel booking sites. Stine said once the rental companies ended up under the same umbrella, everything got monetized. With VRBO and HomeAway, customers were then forced to use the company’s “very expensive” credit card processing system. “They were charging the guest and charging me and charging the credit card processing. So everybody was getting squeezed,” Stine said. To compensate for the charges, rental rates went up, and in some cases, Stine’s rental rates were no longer competitive. “Let’s say I’m charging $1,500 a week and they’re taking 10 percent, so now I’m $1,650 a week to you. Right? So I may no longer be competitive at $1,650. Then they are taking a percentage from me, plus charging me to process the credit cards at a rate which I think is too high. They’re making money off of everybody,” Stine said. But it wasn’t the fees that finally made Stine stop using VRBO. She stopped when the company wouldn’t let her communicate directly with the renter with her real email address and phone number. “Part of the reason my rental was so clean and so respected and never damaged was because they had this connection and now they’ve taken the connection away,” Stine said. Masten, who uses third-party booking companies to get exposure for her owners who are renting, admits third-party booking is a sore spot. “I’m a little taken back because I’ve been doing this for so long and we’ve not had to rely on a third-party booking companies. It’s the day and age. It’s what the clients want. It’s what the customers want. So if this is what they want, we got to bend,” she said. Broker T.J. Redefer with Rehoboth Bay Realty in Dewey Beach said the impact of third-party booking sites can’t be denied. “I can’t argue with them as a real estate broker because it works.Their platform works. I’ve seen them be able to get top dollar for a lot of owners without having to pay a commission. Now they do have a lot of fees involved, so don’t be mistaken. You are still going to have a lot of fees when you use any of these platforms. It is fair to say more of the proceeds will end up in the owner’s pocket by using one of these programs,” Redefer said. Like Masten’s property owners, some of Redefer’s are using his services, as well as using VRBO or HomeAway. For property owners, a local rental company can give peace of mind. Owners and renters have some to call when there are problems, such as noise complaints, lockouts or repairs that need to be made. “There’s a huge comfort level for the guest to know you’re going to check in with my realtor. I know you booked with VRBO. I know you booked with Airbnb. I know you booked with all these other sites but my realtor has the key. Suddenly there’s a comfort that they didn’t lose $5,000 on a weekly vacation rental,” Redefer said. Redefer said owners who use third-party sites to manage their properties need to be aware that they need business licenses and to pay accommodations taxes. The real estate broker is mayor of Dewey Beach, which swells from fewer than 300 people in the offseason to more than 30,000 on any summer weekend. The 3-percent accommodation tax is the “lifeblood” of Dewey. The same tax is 6 percent in Rehoboth, 7 percent in Bethany and 5 percent in Lewes, Redefer said. In Fenwick, it’s 8 percent. 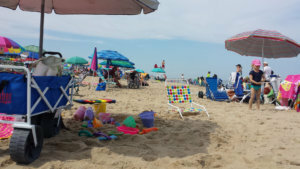 “The little town of Dewey Beach makes nearly half a million dollars in accommodation tax, and in a town whose budget is under $3 million a year, that’s a big part of what makes us go ’round,” Redefer said. It pays for a number of town services, including lifeguards and police. “Of all the people who could use the services our town provides, our guests need it the most. It’s important that those landlords know that they need to be paying those license fees and accommodations taxes so that we can all do our jobs,” Redefer said. Like Dewey, Ocean City’s population balloons during the summer from its year-round population of 7,100 to roughly 275,500 in the summer. The town has been reviewing third-party rental sites to try to find owners who have not acquired the proper licenses and who have not paid room occupancy taxes. Rentals are charged a 4.5 percent room tax, plus a 6 percent Maryland sales tax. The room tax in Ocean City pays for a number of things, said Jones of Hotel-Motel-Restaurant Association. “Two percent of it goes to marketing. However, the remainder will go to lifeguards, to cleaning the beach, maintaining the boardwalk, our police force. So it’s going to the general fund to help pay for services that the visitors use,” Jones said. Ocean City recently spent $10,000 to mail property owners a letter reminding them to obtain the proper licenses. 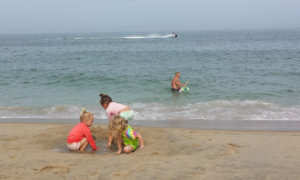 As of June 7, the mass mailing had resulted in 465 new licenses, which “equates to over $65,500 of revenue for the Town of Ocean City,” said Ocean City spokeswoman Jessica Waters. In fiscal year 2017, Ocean City collected more than $4.5 million for licenses and permits, while collecting more than $15.3 million in room occupancy taxes. The previous year, the town collected $4.4 million for licenses and permits and $14.5 million for room occupancy taxes. “But what is important is that if you are going to invest in property in Ocean City and use it as a rental, you absolutely have to follow those rules. It’s your legal responsibility,” Waters said.